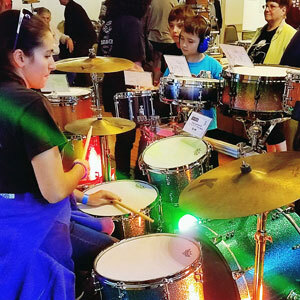 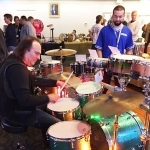 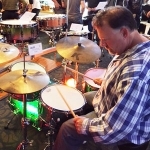 We recently exhibited at the Connecticut Drum Show, held in Newington, CT (a suburb of Hartford). 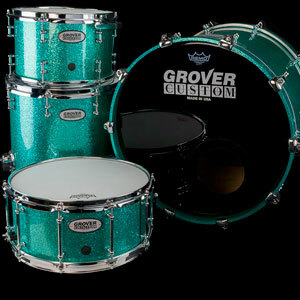 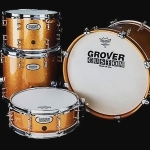 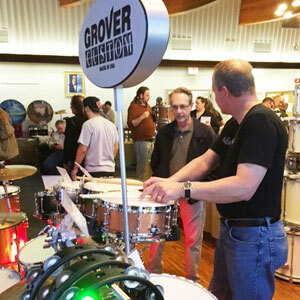 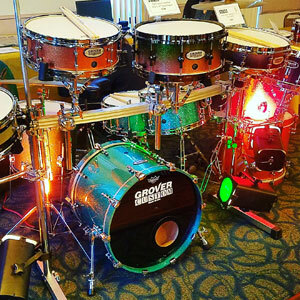 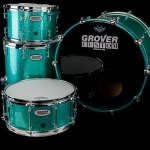 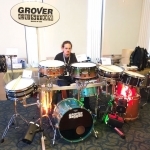 The Grover Custom Drums exhibit was continuously jammed with drummers wanting to see and hear our custom drums. 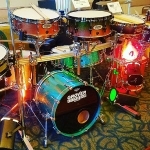 We had both an aqua sparkle and copper sparkle kit on display as well as a number of special snare drums (including our new Tourmaline Sparkle finish). 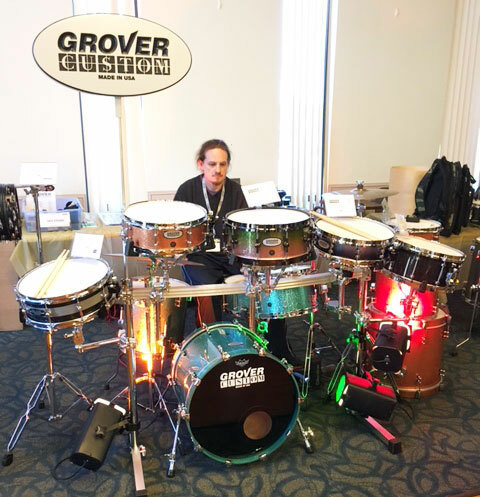 Our EQlipse Dual-Apex Snare Drum received a good deal of attention, especially from drummers interested in a drum with a wide range of tuning capabilities.